We have the experience, knowledge and ability to source, buy or build the car that you desire. Tuning Nissan Skyline GTR, R32, R33 or R34, Modified Toyota corolla gt coupe AE86, JDM Supra, Mazda RX7 Drift Car or any parts from Japan. Please do not hesitate in contacting us. You need not take time any longer to find a car you want! Why don't you participate in USS Auto Auction largest in Japan? USS is abbreviation of the name, "Used Car System Solution", a company Conducting Auction (Auto Auction) of used cars. 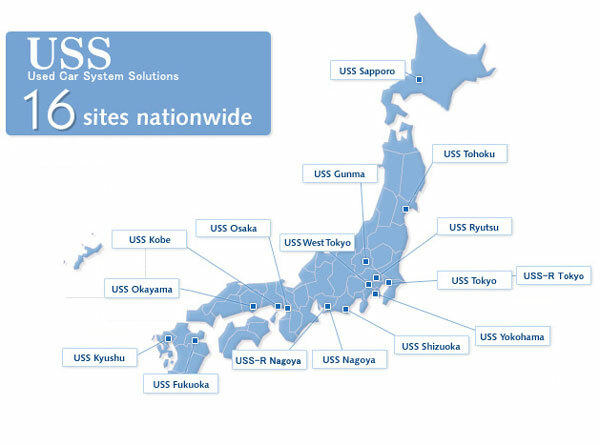 USS have deployed 16 Auction sites throughout Japan. They are conducting auction using a communications satellite and TV auction, too. 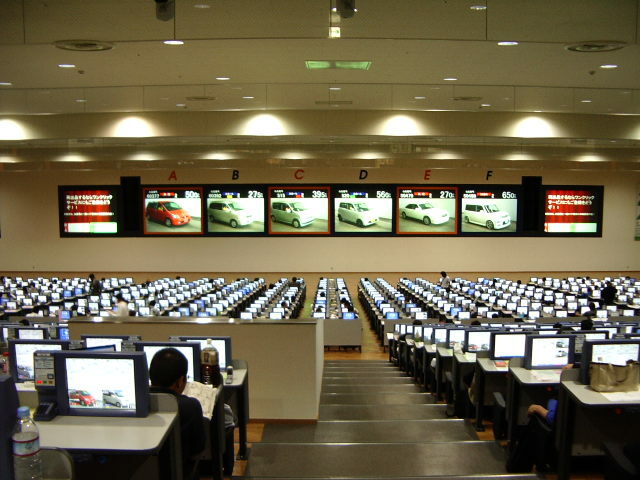 For your information, the largest auction site is the one in Tokyo, where more than ten thousand cars are made a successful bid at the rate of 15 to 20 second per vehicle. In 2004, number of used cars which had been supplied through all the Auction in Japan reached 6,240,000 against the number of registered used cars amounting 8,190,000 in total. This means more than 70% of used cars were traded through Auction, among which 2,140,000 cars were delivered through USS Auto Auction, No.1 both in the scale and handling. 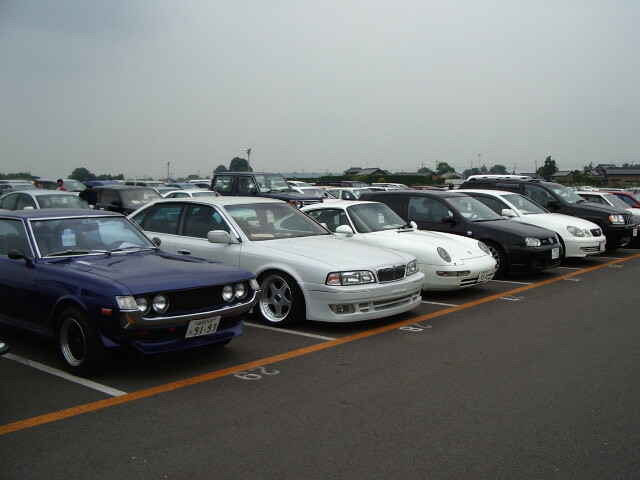 Yes, you will be able to find a car you want only through USS Auto Auction which is the largest organization in Japan ! Unlike other countries where any body can get a car by participating in Auction, in Japan, only selected dealers or an individual who are permitted to be a membership through severe investigation can participate in Car Auction(Auto Auction). Especially, for USS Auto Auction, passable level for a membership is very strict so that, unless you are trusted socially and with good experience in the field of car business, it will be difficult to pass the investigation for license. We are a dealer who passed the investigation and can get vehicles through USS Auto Auction, largest in Japan from where 60,000 cars are being shipped per week. * Windows Media Player is required to view the video clips in this site. The system called POS is adopted for responding to the bidding, by which amount is supposed to be added at the rate of 5,000yen every time the button is pushed. 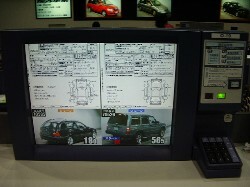 After starting the bidding, figures of used car will be shown one by one on a large screen. Professional inspectors will inspect cars, one by one, in many items such as history of accidents, exterior, interior, engine, conditioner and electro components. At the same time, the odometer will be checked, in case it gives a car haircut, through Meter Control System which combines all the Auction sites in Japan by means of Online. All such inspection will be finished before the Auction and a point on the evaluation will be written on the Auction sheet, which will evaluates the car so severely that it seems even it is exaggerated. For instance, when you look at a car with a dent, which will be more subtracted in the point on the Auction paper than actual looking with your own eyes. Such evaluation as it is done for Auction is carried out for your assurance of the quality of car you will get. If any injustice done by manipulating a meter or hiding accidental history of a car is revealed, it is checked instantly and relevant dealer will receive a strict warning. In this case, if it is deemed as being malignant, he/they will be heavily fined and will ever be excluded from Auction. Thanks to such strict control, it will be very difficult for him/them to do any injustice when putting a car onto Auction. This control of injustice is being carried out so that you are assured of the car with a good back ground when you get it! Please push the "Contact" button on the screen and send us information after inputting Auction Number, Car Model (name of car) your address, name, name of country, name of port and your target price (FOB). Or please let us know from this form. Note: You will not be able to see any information such as staring price, quotation and Auction sheet unless you are willing to participate in the auction. these information will be only provided to the customers who are getting in the process of purchasing the vehicle you want after the payment of required deposit. Deposit is required when you participate in an auction. It is for avoiding a risk mutually. And when an auction is successful, please pay the balance. When it fails, it bids for the next car. * It is required by the time an auction starts. * Please fax the detail of a bank after payment. We can accept only TT (telegraphic transfer) payment system is requested to remit us by TT (telegraphic transfer) from bank and send a copy of bank transfer to us by Fax or E-mail. We are happy to explain the details of auction sheets before the auction begins. This can be done either by email or telephone and into a full english translation. The car that you wish to purchase at the auction will be personally check by us on the day of the auction, before biding. Picture are taken of the car and pictures are sent to you by email. Also we will explain all findings to you on the phone so that you, the customer, will be able to bid with more confidence. You tell us then which bid you would like to offer. When offering the bid for you, we are present at the auction. When you are successful with biding, details are sent to our office and the condition of the car is checked again. Picture are taken of the car and pictures are sent to you by email. A reservation is made on the next ship leaving to your country. Car is delivered to the port and leaves to your country. * Should a car require any minor work before leaving to your destination ie. (Scratch, dent, crack etc), we would be happy to organise this before car is exported. 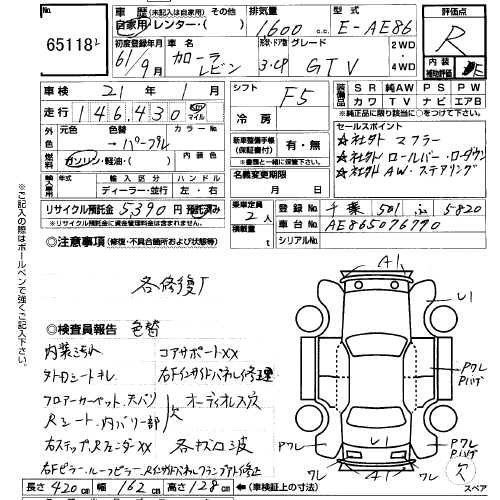 Copyright ©2006 Japanese Used Car Exporter. Any Japanese modified nissan skyline gtr bnr32, gtr bcnr33, gtr bnr34 cars for sale is available.